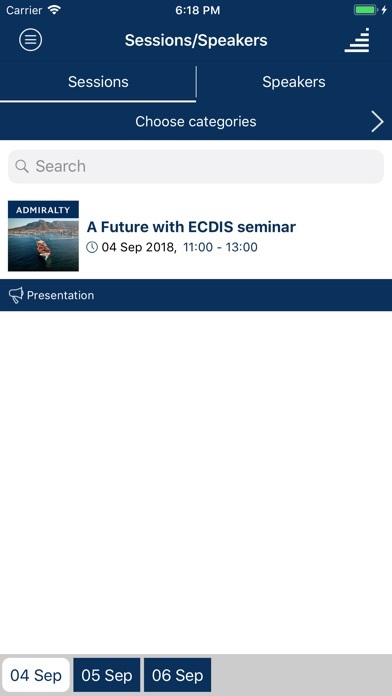 Achieve the full benefits of ECDIS with our free technical seminar To fully realise the potential of ECDIS a ship manager has to be constantly aware of advances in technology that will enhance safety and bring performance benefits. 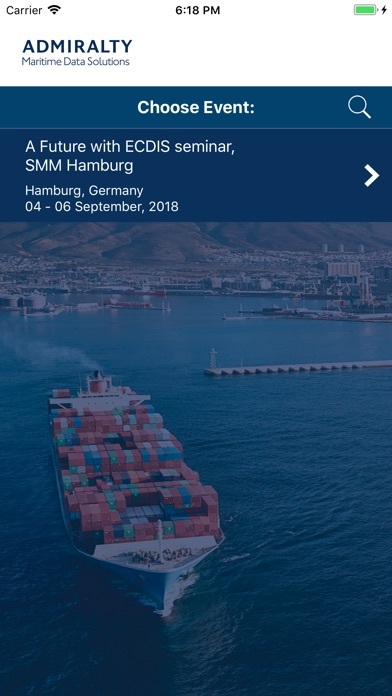 This will involve: > Cyber security - carrying out detailed risk assessments, surveying equipment, protecting IT and operational equipment and responding to incidents > Connected ECDIS - developments in auxiliary ECDIS hardware that drive performance improvements > Maritime connectivity - how developments in satellite communications are enabling the transfer of Big Data > Software and hardware maintenance - predictive equipment maintenance, IHO updates and regulatory compliance If you need guidance on any of the above topics and more, join your peers at a free technical seminar to share knowledge, concerns and industry insight with experts from the UK Hydrographic Office. 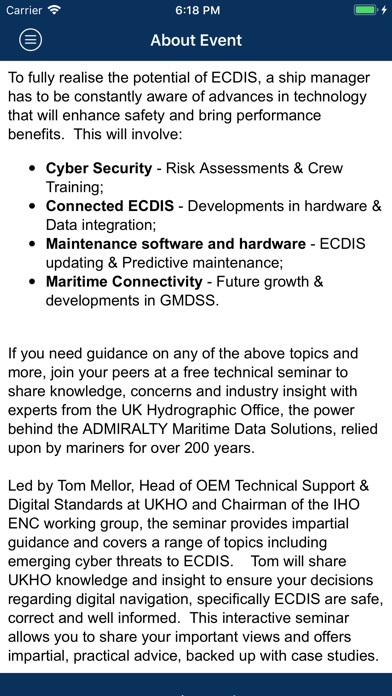 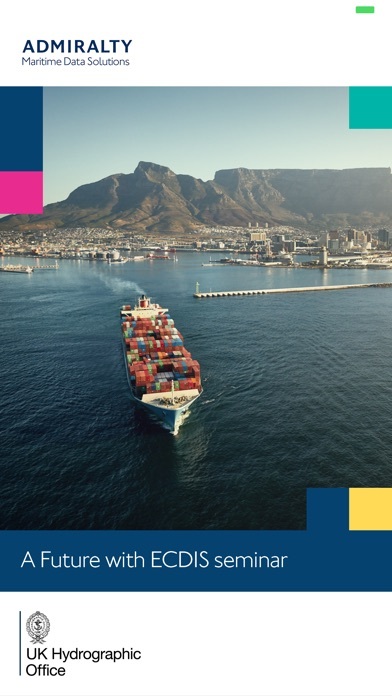 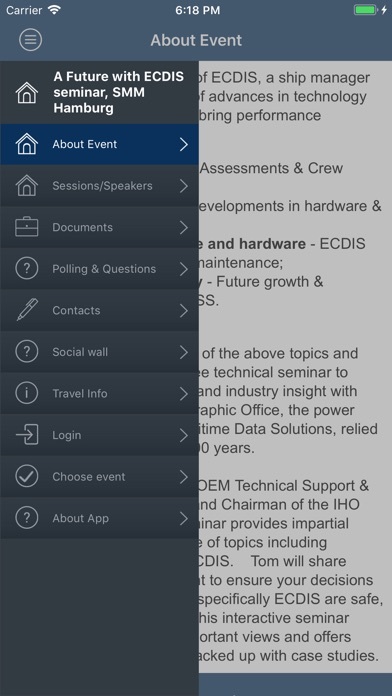 Designed to help mariners and shipping companies to achieve the full benefits of ECDIS whilst remaining compliant, this seminar will cover a range of subjects with your own questions and comments encouraged throughout the session.